Samsung looks to have finalized another color for the Galaxy S5, this time being Swarovski crystals. 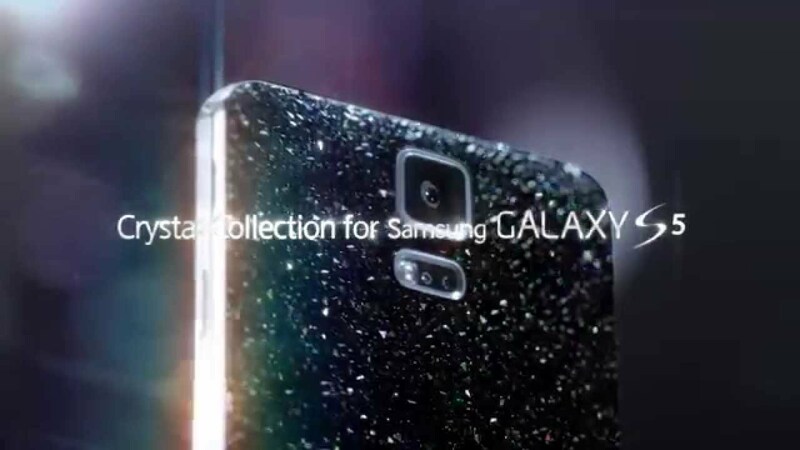 From what we see in a teaser trailer, released this morning through Sammy’s YouTube page, the device looks like a plain Galaxy S5, but with a fancy crystalized Bedazzled backplate. This won’t be the first time Samsung has teamed up with Swarovski for a Crystal Edition, as they did the same thing with the Galaxy S4 last year. It must have been a big hit for the company to produce a second rendition. The video states that the device is set for launch in May.